You see a map that shows territory of Japan. interesting map of Iida и OziExplorer calibration displayed. detailed map of Nakatsugawa for Garmin. detailed map of Yawata 1 cm to 1 km presented. 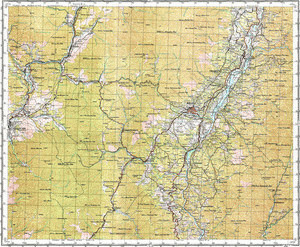 interesting map of Tokimata download for free. actual map of Shimo-seinaiji и OziExplorer calibration for you. free map of Sakashita 1 cm to 1 km this. interesting map of Ochiai и OziExplorer calibration free download. free map of Nakamura и OziExplorer calibration presented. interesting map of Midono 1 cm to 1 km download for free. free map of Komaba free download. topographic map of Kazahari calibrated this. interesting map of Katagiri for you. topographic map of Kami-seinaiji 1 cm to 1 km for you. topographic map of Kamimachi download for free. map of Iijima и OziExplorer calibration free download. actual map of Ichiba with gps calibration here. detailed map of Hirugami displayed.